Researchers in Thailand have announced that they have developed the world’s first live attenuated vaccine for dengue fever. 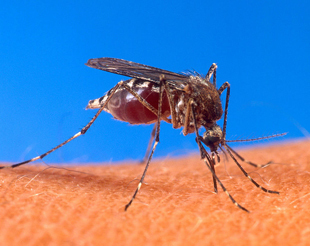 Endemic in over 100 nations, and spreading due to climate change as the mosquitos which carry it expand their range, dengue infects somewhere between 50-100 million people annually causing great pain and discomfort at best and life-threatening conditions at worst. Dr Suthee Yoksarn, a lecturer of Mahidol University, with his team and colleagues at Chiang Mai University have developed four stereotypes of the live attenuated vaccine. They combined attenuated DNA with a protein structure that stimulates immunity against the dengue hemorrhagic fever caused by the present strain of the dengue virus. Thailand-based Bionet-Asia Co has been appointed by the Thai government to commercialize the vaccine. It could take a decade before this dengue vaccine is available for public use–provided that other companies, such as Sanofi Pasteur which is also working on developing dengue vaccine, don’t do so first. For our US readers, if you think dengue is something that other nations need worry about, remember that dengue could spread to 28 states in coming years, and that Florida reported 24 cases of dengue last summer.